Men. Did you know that you have an abundant amount of power? You have the power to destroy or the power to build up and lead. What will you choose? I often hear men say something along the lines of “I try to make her happy…”. It makes me cringe. While I love when my husband makes me happy, I do not want him doing things just to make me happy. Does that make sense? My desire is that he will tap into God; the One who created marriage and align himself so closely to His ways. That is what truly makes me happy. I remember sharing my heart of things that I needed help with around our home. We talked about how my spirit would be cared for with HOW he did these things. Sadly, the mechanical part of my husband kicked in and the things got done. However, when I brought up how my spirit was hurting; defensiveness struck. I heard all about how amazing he was in doing allll “the things”. Now, most women will be tracking with me, but many men will get stuck on how logically my husband took care of what I asked for. The area that got missed was the heart of how he did the “job”. It was done mechanically and he missed out on seeing my & the family’s heart in the situation. What does that mean? Well, if he were to enter into my heart he might have realized that while he was, let’s say, doing the dishes, the kids were arguing. Instead of stopping the dishes, coming over to see what was going on with the kids and caring for their spirit as well as shepherding them to Christ, he yelled at them and told them to knock it off. Another example was taking out the trash. Instead of being a team and teaching our kids how important it was to work together as a family; he made it a rule. The kids would do fine for a while. But then after some time, as all kids do, they failed to be consistent and obedient. He and I sat down and talked how it was our responsibility to teach them about values and work ethic. We had a plan. His heart was seeing the need to expect them to be sinners and to be ready to guide them. Then they didn’t do it again. Yep. He pulled everyone into the kitchen and began to scold them in a very harsh and demeaning way. That was not part of the plan. As you can imagine, that did not care for any one’s spirit. It didn’t lead anyone to Christ. It brushed the kids off so that he could “make me happy” and get the dishes finished. I then would tell him that I honestly would have rathered the dishes not get finished and for him to love and care for our children. The lessons of how to be a team and be responsible in taking out the trash was not accomplished. Their feelings were hurt, I was discouraged (and mad), and the kids only obeyed to “not get in trouble”. Men. Are you scratching your head and thinking that I am nuts? I am almost 100% positive that every woman reading this totally agrees. The heart of the home; love, joy, peace, longsuffering, kindness, goodness, faithfulness, gentleness, and self-control. These are the characteristics that we want. We so want a man to use the power God has given him to guide him in his role as a leader. To be able to look at the spirit. To find ways to make each one feel peace, joy, love etc. And, then when everyone settles down, to go back and finish the dishes. Perhaps even including the kids to help out. It is the heart of the home we are longing for. The power of the husband to lead us there. Not to get the jobs done. This is really deep. When I read this post that was put on Christ Quest Ministries’ Facebook page, it made me stop and think. The word “mostly” made me smile when I began to digest this more and more. Actually, we can ABSOLUTELY be only thankful for God. We have heard the phrase “Jesus is the Reason for the Season.” Yet, it is so easy for us to move about “the season” acting like everything else is the reason. Shopping and spending money (that we don’t have sometimes), baking, wrapping presents, putting up the decorations, listening to Christmas music, attending parties are a few of the things we find ourselves doing at this time of the year. Yet, we fail to include Jesus. This year, our kids and family all came home for Thanksgiving instead of for Christmas. Because of this, we gave their gifts in November instead of December. I also went out of town right afterwards for about a week which led to the decision to not decorate our home for the holidays. I have gone back and forth on this decision, but it has made me reflect a bit on the true meaning of Christmas. Now, I am definitely not saying that the above-mentioned things are bad! I am only listing these because the lack of doing them this year has opened up my time and allowed me to view some things that I normally have not been able to reflect upon. While we do not know the exact date of Christ’s birth, December is the time most have chosen to celebrate. I have found myself thinking if my birthday were celebrated in this manner, would I feel honored? If everyone I knew were running around doing things for everyone else, getting stressed out on my behalf, going into debt, gaining weight, being over-achievers, staying up too late, getting up too early, etc. etc. ; it would ruin my birthday. However, if they were including me in the decorating, the shopping, the baking, the party-going, etc., that would make a HUGE difference. I wish I could go back and help my mom more with the celebrations. I have very few memories of me helping her bake, decorate, or any other preparations. I do remember going to the store first with my dad and later with my mom, with a certain allowance of money, picking anything we wanted to get for gifts! I even remember some of the items I chose! It was the TIME I had with them that meant enough to record the memory into my brain. I remember my dad reading the Christmas story to us, we painted ceramic houses which we placed each year new masterpieces around our tree, and I remember going to our grandparent’s home where we played with our cousins. I remember opening gifts on Christmas Eve with only the Christmas tree lights on and the time with my parents being close to me in my heart. I am challenged to be more thankful to God for EVERYTHING. It is because He created this amazing planet and placed spectacular things all around for us, that we get to see Him in everything! He put our family and friends into our lives as a gift to us! He had authors record His story in the Bible for us to read and learn from so we can feel Him in our lives! There are so many amazing and awesome people to read about their lives and how God used them to reach others. He allowed us to birth little babies and watch them grow up. He gave us relationships to have someone close to us, allowing us to understand how His heart longs to have a relationship with us. Don’t forget to make that appointment with Him each day. Talk with your spouse about what your budget is for spending. Begin a savings in January for the following Christmas. Make wise choices of what you put into your mouth. Decide what days are for family and what days are for parties and church functions. Pray with your family and read the Christmas story when you are done decorating; perhaps if you find your family argues during the decorating time, that dad sits down and prays before you begin! Find ways to help. Mom gets very overwhelmed during this time as she usually gets the full load of all the details. Encourage family time; making it a joy…not a chore. Reflect each evening what the next day will look like; plan together as a family and communicate with all family members. Play games together as a family! Plan down-time like coffee dates, talk times, prayer times, and other regrouping/recharging moments. Have a Thank You jar for the whole month where you put notes with what you are thankful for each day; read on this Christmas day. Think of ways to introduce Jesus to others. Find a place to serve. It is so easy to make the holidays all about ourselves. Make Him the REASON for the season! Happy Holidays! May you be blessed immensely! We know that God hates pride. Proverbs 16:5 “The LORD detests all the proud of heart. Be sure of this: They will not go unpunished.” I don’t know about you, but I hate to do anything that God Almighty hates…and I do not want to be punished. So, for me, I want to really pay attention to this. The obstacle of pride will keep us from drawing closer with God. It seems obvious; however, we struggle with this almost every day. Without even thinking, we often wake up and begin our day exactly the way we want to. Pride shows itself as we selfishly do things without God. We can even on a “good day” put forth an honest effort to put ourselves in the right place and hold God up high; but we always fall short and put ourselves in the high place, don’t we? We love ourselves naturally. It doesn’t take much for us to put ourselves above others and have them not see Christ in our lives. Our eyes leave God and we don’t need Him any longer. Sadly, we then miss out on seeing His power and His glory. Ultimately, we are on a wrong path leading us to separation from Him. It breaks God’s heart when we do not listen to Him. Ultimately, pride will take us captive. In Jeremiah 13:17, it tells us “If you do not listen, I will weep in secret because of your pride; my eyes will weep bitterly, overflowing with tears, because the Lord’s flock will be taken captive.” Just the thought of this brings me to tears. I would like to take a moment and ask you to visualize God’s face with tears running down His face as He looks at our prideful hearts. The verse doesn’t just say that His eyes were overflowing with tears, but that His eyes weep bitterly. Have you ever wept bitterly? The heart severely hurts and feels oh-so-heavy, right? It is helpful for us to understand the emotion fully so we can understand God’s heart. “When pride comes, then comes disgrace, but with humility comes wisdom.” Proverbs 11:2 The definition of disgrace is: loss of reputation or respect, dishonor, shame, discredit. As I ponder this, I can see a direct correlation of disgrace and why pride is something that God hates for His children. When we behave in a way that is prideful, we do not allow others to see Him. We steal all His glory and our job is to BRING others to His glory! In addition to disgracing God’s glory, have you ever been around someone who is full of pride? They are annoying to be around and they are difficult to respect. Pride can destroy a marriage and wound children. It can tear apart a friendship. Because we are supposed to bear Christ’s name as a Christian many in the world do not see God; and sadly, pride has a lot to do with this. One thing for sure, disgrace will ultimately humble us. For some, they seem to be more hard-headed and live through more disgrace than others (look at the story about Nebuchadnezzar in Daniel 4). We can either choose to let God humble us or develop humbleness ourselves. Fortunately, there is hope for us yet! If we truly work on humbling ourselves, we will have His wisdom! When we see ourselves in the rightful place as a servant of God and He is the King; we will lower ourselves before His majesty and worship Him. He wants to gift us with His wisdom. We must be obedient and humble ourselves before the King on a daily basis. So often we pray that God will make us humble. (That sounds scary now that we just read about Nebuchadnezzar!) However, James 4:10 Says “Humble YOURSELF before the Lord, and He will lift you up.” How does this look? God gives us circumstances every day to humble ourselves. Do we look at these as opportunities to learn humility? Given the opportunity, we have the choice to defend ourselves and not see what it is that God is showing us; or we can choose to humble ourselves and honor God by bowing down to Him in all areas of our lives; especially when we need to admit our faults. The choice is ours. Let’s browse through some principles that can be learned from these verses. I love tearing verses apart and studying key words! Grace: favor, good will, kindness, disposition to oblige another; Webster 1828 definition: Virtuous or religious affection or disposition, as a liberal disposition, faith, meekness, humility, patience, etc. proceeding from divine influence. Quite a contrast, right? Imagine speaking to one another in a way that is honest yet full of virtuous affection! Some of the benefits are faith in each other, meekness, humility, and patience. Fruits: harvest; results of labor; benefit; effect. Loss/demise and high spirits/energy are in the ability of the tongue…and those who adore it will absorb/digest its harvest. In other words, you can either cause death and demise with your words, or you can lift someone’s spirits and give them energy. Which harvest do you want to digest? The one who keeps his words under control is aware. His calm, levelheaded spirit is a man who comprehends what is presented to him. This one is a no-brainer. You keep yourself out of trouble when you protect what you say, when you say it and how you say it. Become a professional question asker. Making statements can make someone be on the defensive. Don’t say anything when you know you shouldn’t say it. You can also say the right thing with a really bad attitude. Those are guaranteed ways to get in trouble! Holding your tongue does not mean that you shut up and hold things in. However, there might be a time that you need to hold off for a while until your attitude improves or the timing is better. It is so important, if you do decide to hold off on communicating in the moment, to let the other person know that you are thinking about it AND make sure you get back with them! Honeycomb: a structure of hexagonal, thin-walled cells constructed from beeswax by honeybees to hold honey (& larvae). Pleasant words are sweet like honey; sweetness to the breathing creature giving strength and well-being. Hopefully this will open our eyes to the importance of our words and the effect they have on the human spirit. 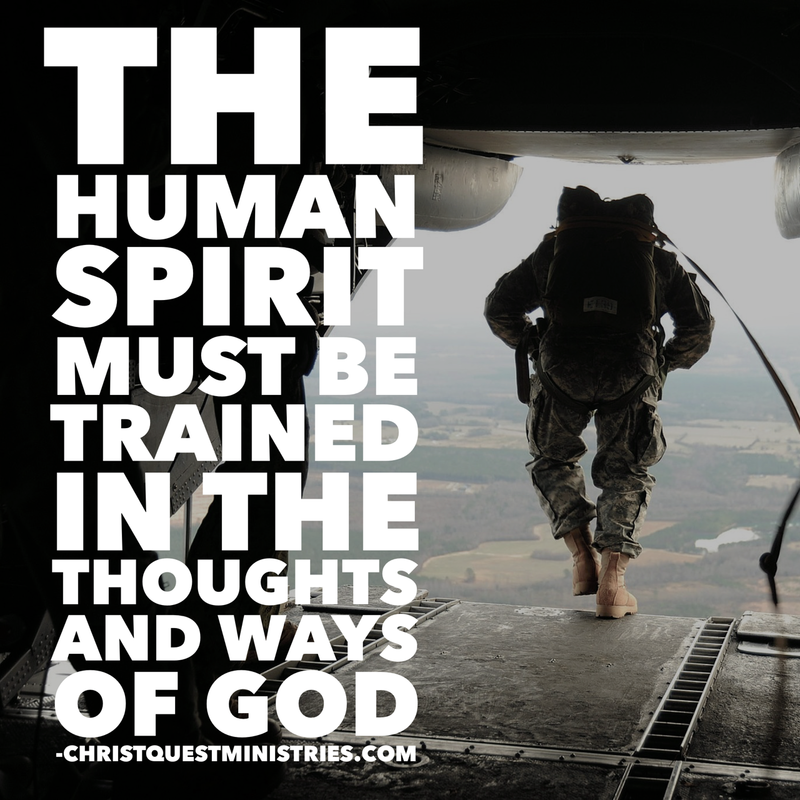 We can give life or cause death to the spirit. 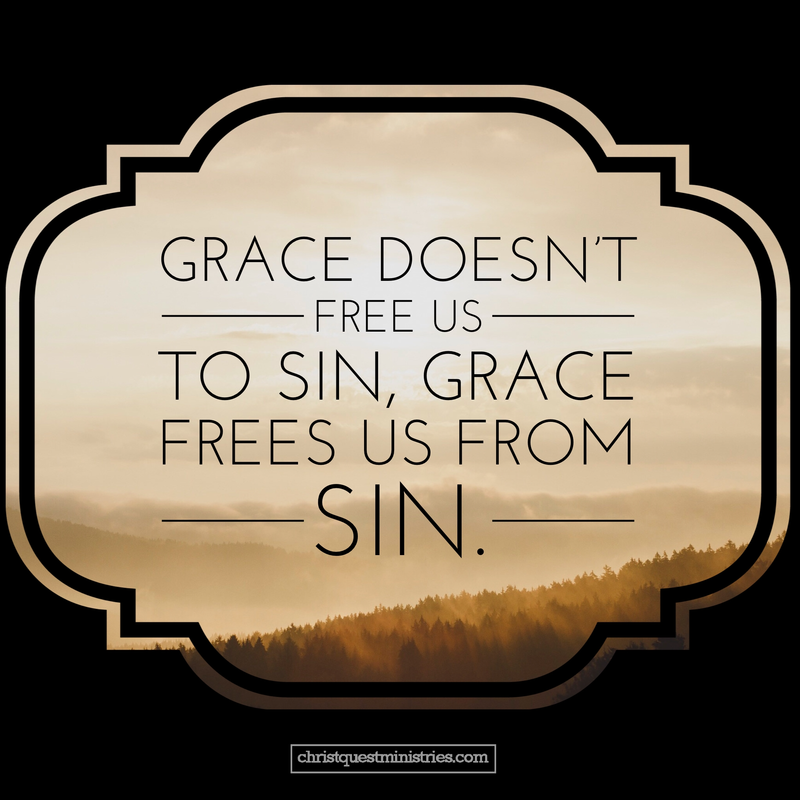 Our words need to be honest and produce grace to the hearer. It is so important to keep our words under control and aware of what is being said in a calm and levelheaded way so that when other’s words come to us that we comprehend what their heart is saying. You will stay out of trouble if you protect what you say, when you say it and how you speak. Then we see the sweet reward of learning to communicate in God’s ways with the results of our lives being full of health, strength and well-being. It is so encouraging to me that God knew our tendency to live in the flesh with our mouths and yet He lovingly instructs us on steps to lead us to strong and prosperous lives. It always boils down to that choice. The choice that is presented to us in the heat of the moment. The more we know God’s word and the more we hide it in our hearts; the more we live in His ways and reap these amazing benefits. Talk about fulfillment! This one lone verse is replete with it. As the twelfth chapter in Romans begins, we are informed of the high standards God holds forth. It’s a challenge for those who represent God. And, since they have accepted Christ as their personal Savior, they are supposed to be an illustration of Him, also. Maybe you’re like me. I have heard many sermons on verses 1-14 and 16+. But, I’ve never heard a message on verse 15. This particular verse reminds me of two stories about Jesus. One story that is found in Luke 7:11-15 is about the widow of Nain. It tells us that Jesus entered into her emotions. His heart/spirit was so profoundly affected that He found himself compelled to bring her son back to life and return him to her. The other story, in John 11:33-36, tells us that Jesus’ heart/spirit was deeply touched by a woman named Mary. Her grief over the death of her brother Lazarus was so open that it brought Jesus to tears. It was not something He hid. Those watching attributed His ability to identify so emotionally with Mary to His love for Lazarus. Reflecting on those illustrations of Christ’s heart/spirit, and wanting to be like Jesus, let’s see what we can gain from the original language. This study also enables me to make more specific application in my own life. Here is a breakdown. Since living here, where Satan brings so much grief, isn’t it exhilarating and gratifying to think we can counteract Satan by bringing comfort to the heart/spirit of another person? Can you name the four emotions in the last sentence? It was my husband’s birthday this month. I decided to get him something from the heart for his gift; so I chose to go to the paint your own pottery shop here in town. Searching through the options on the shelves, I selected a coffee mug. He loves coffee so this would be perfect! Now, I needed to make a decision of what to paint. I know his favorite colors are red and black, so that would be the colors. There were books to look at in order to help get the creative juices flowing; I picked this curly design and placed a heart in the center of the mug. I started by painting the red on the mug; leaving the white to show through in a shape of a heart. Then I put black paint on the handle and around the rim. I pulled out the fine-tipped, black paint marker and began to make curly designs on the red paint. I had a picture in my mind; but for the life of me it was not looking quite like my image. This stuff is tedious work, people! The tip of the marker kept getting clogged with the red paint (It stays a chalky texture until it goes in the kiln). I began feeling super stressed. Elijah, the 9 year old boy I had with me finished his shark and was getting antsy. We decided it would be a great idea if he selected another item to paint. My mono-vision contacts, from looking close then far away, were making my eyes feel over stimulated. I am sure that you have felt that feeling before; you have high expectations and nothing seems to be going right. You can physically feel the stress. Then it happened. I put my finger right into where I painted and smudged the design. Talk about feeling irritable, I wanted to cry and throw the mug away. Not quite sure what I was thinking, but I resolved the mistake by putting a FLOWER over the smudge. 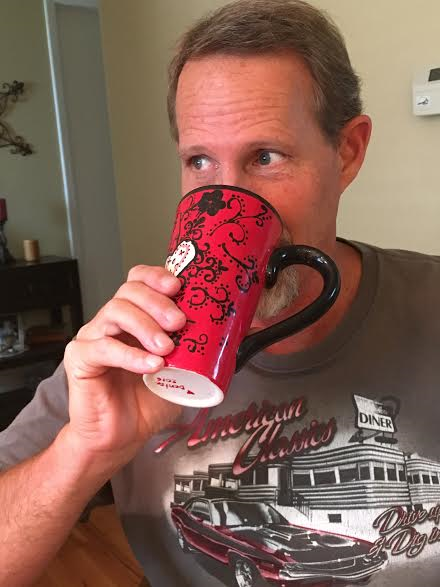 Yes, on my husband’s manly mug…a flower. But one flower wasn’t enough; I had to balance it out and put several flowers on it. Finishing off, I put his name at the bottom and painted a black rim at the top with red dots on the inside. I hated it. All I saw was “pink” paint, flowers, and it was definitely not the image I had in mind for this gift. My mom was with me. We both were laughing as we retold the situation to my husband and my dad. All of the “what I should have done’s” were mentioned. I should have done a different design. I should have just put my name on it and re-made him a manlier one. I should have put hearts instead of the flowers. I should have dropped it…on and on. Tim just laughed and told me he would love it; even when I told him that it looked like a pig threw up curly-ques. I went to pick up the mug at the shop. The owner, as she pulls my artwork out of the box, says, “And this one turned out so nice!” I couldn’t believe it! And, I was surprised as I looked at it. The pink was bright red and the black was way more muted. The curly-ques were much milder than they were before it went into the kiln. It did; it actually looked pretty good! I got into the car and called my mom after sending her a text message with a picture of it! We talked about the significance of the fire. Interesting, right? Just like in life as we have situations that paint us, decorate us, fail us, and even cover up the mistakes with new attempts to do things correctly. Then God, fully in His amazing grace, comes when we allow Him to and puts a coat of plain glaze right over top of our “artwork”. Then, He puts us in the kiln. Fire is never comfortable; but boy does the pottery come out beautiful afterwards! The glaze makes everything nice and shiny; even the colors change. His plans are always the best. The “game-changer” in this situation is the willingness to be put into the fire. 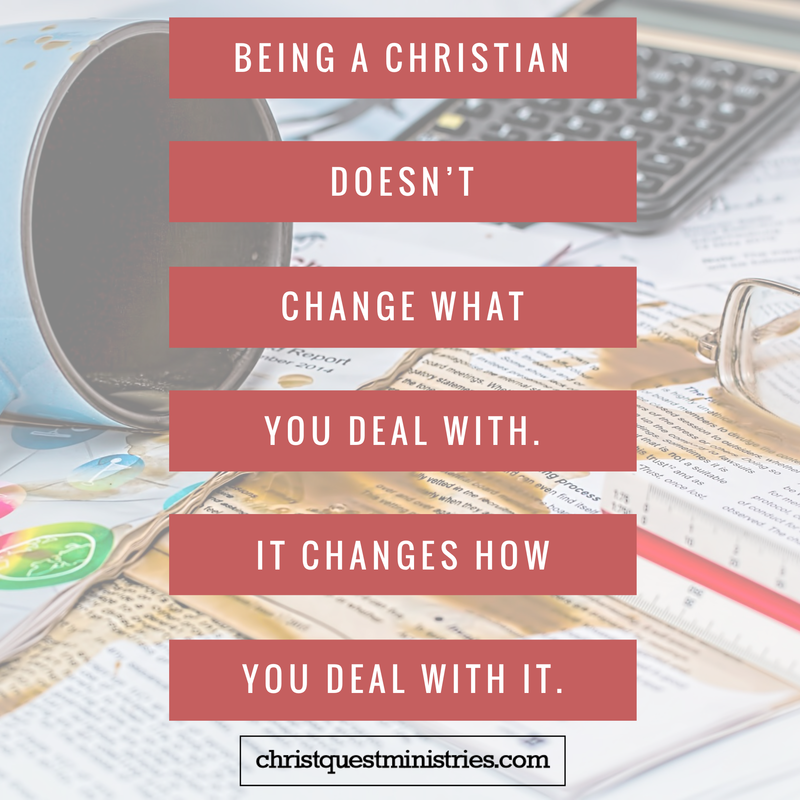 The Bible talks about not getting comfortable but allowing God to move us into His image. You read through scripture and there is story after story of God calling people out of their comfort zones. Read Daniel 3 for the story about three men (Shadrach, Meshach, and Abednego) who literally went into the fire! 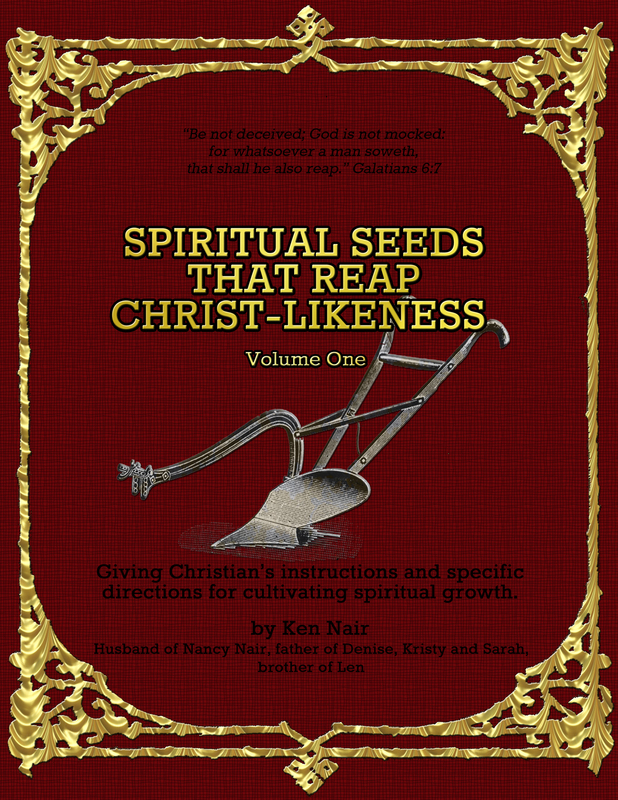 Their willingness, obedience and faith in God resulted in changed lives of many people. I am sure their “mug” (situation) didn’t look too good before and as they were taken into the fire! But what a glorious story after! In closing, the question is: Do you want to go through life feeling like you are just painting (or playing Christian)? Along with this come feelings of anxiety, frustration, emptiness, like giving in/throwing in the towel (breaking the mug), insecurity, dissatisfaction, etc. God has such a better picture in mind! Stay the course and allow Him to finish what He has started. Follow Him. As the song says, “God is on the move, on the move, Hallelujah! God is on the move; in many mighty ways.” He does take us into the fire. It isn’t always easy; but discovering your Spirit, for husbands knowing and understanding the spirit of your wife, and knowing and learning God’s Spirit is AMAZING! I am so glad I didn’t throw away the mug. Tim loved it when I gave it to him. And so it is with God’s ways; the blessings are huge and so worth the fire!